DJ Tiesto works the crowd into a trance frenzy at the Bellagio in Las Vegas. SampleRadar's aim is simple: to furnish you with pro-quality, royalty-free sounds. It's a one-way street - we give you great content but don't ask for anything in return. Continuing our run through some of today's most popular genres, this week, we're stepping into the euphoric world of trance. Born in the 1990s, this anthemic form of dance music has been a fixture in clubs ever since. Its signature synth sounds are currently being used in hip-hop, too, while Calvin Harris's number 1 hit I'm Not Alone also features a classic trance riff. 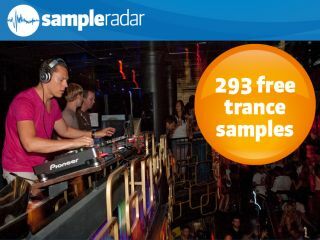 The samples are split intro instrumental categories: Basslines, Drums, Explosions, Leads, Pads and Trance Piano. The Drums folder features both loops and single hits. The trance samples are supplied in a zip file, so you'll need to extract them before you can see them. Enjoy!